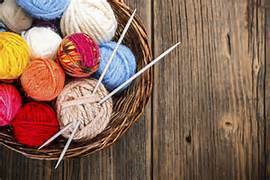 Our knitting and crocheting group, Stitchin' Time, enjoys getting together to knit prayer shawls, scarves and other items to be used as part of the missions and outreach of our church. The prayer shawl and scarves are given to members and friends of our congregation to commemorate significant events in their lives such as celebrating joys, grieving loss, or coping with illness. We meet on the second Wednesday of every month at 11 a.m. in the lower level of the church. Our main focus is Prayer Shawls. If you know how to stitch or just want to fellowship or maybe you have the desire to learn stitching, stop on by, we would love to have you join us!